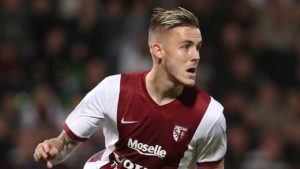 Monaco faces a strong challenger for Ligue 2 on Tuesday, January 22, as Metz, a strong candidate for Ligue 1, in a match for the 2018/2019 French Cup survival. The match will be based at the Louis II stadium in Monaco. The start is scheduled for 18h (Brasília time).The tournament is in its fourth phase, although the Ligue 1 teams have started participating only from stage three. All games are eliminatory. In case of equality in the regulatory time is carried out extension of 30 minutes. In the continuation of the draw, penalty kicks define who is pursuing one of the most democratic competitions in Europe, since even amateur teams are allowed to participate. It was in the same stage that on Saturday, January 19, for the twenty-first round of the French Championship version 2018/2019, Monaco was beaten by Strasbourg by 5 to 1. Thus, did not leave the 15 points (three wins, six draws and 12 defeats) remaining stationed in the nineteenth – penultimate – position.The only loss was not greater in the fight against relegation because all five last placed in the table of classification of Ligue 1 were defeated. Thus, the difference for the Amiens, seventeenth placed and first outside the region of the sticking, was in the house of three points. Now, there is a round less for reversal of this situation.Without winning four games (three draws and one defeat), considering all the competitions, Monaco has made a campaign that manages to be even worse as principal. In this respect, the team has the lowest performance in the French Championship. Of the 33 points played in his stadium, he won only four (four draws and seven losses). With nine goals scored and 23 conceded is the only team that has not yet won at home in the current Ligue 1 season.This catastrophic performance has not contaminated the performance in the cups. At least the results, because the performance within the four lines has not been much different. In the League Cup, Monaco reached the semifinals. He will face Guingamp at his rival’s home on January 29 to try to reach the final. In the French Cup, he overcame Canet Roussillon, 1-0, in his debut. Metz had their Ligue 2 appointment scheduled for Friday, January 18. At home, he was beaten by Clermont by 2 to 1, having thus interrupted his unbeaten run that reached nine games (six wins and three draws).The result, although bad, did not have as much impact since the team had ‘fat’ in the leadership of the Second Division of the French Championship and managed to maintain the tip. With 44 points (14 wins, two draws and four defeats), they saw Brest, who drew 1-1 with Troyes, to narrow the gap between them to five points.However, in the fight for access to Ligue 1 what counts even is advantage over the third placed, since the champion and vice go directly to the elite division of French football. In this case, the margin over the Lens is nine points, and Metz in an extra game to do. It is a very comfortable situation.Fruit of an excellent team campaign as a visitor. Of the 33 points that played outside their dominions in Ligue 2, the Metz added 26 (eight victories, two draws and a defeat). They were ten more than Troyes, second best in this matter.In the French Cup, the team had to overcome all three previous phases to have the right to face Monaco. In the opening, they drew 1-1 with Sarreguemines, at the home of the rival, in normal time. It was 0-0 in overtime and won on penalties. In step two, again as a visitor, made 1 to 0 at Oissel. In the third round, again away from home, he tied with St. Quentin for 1 to 1 at regular time and won 1-0 in extra time. Monaco have won their last seven matches against Metz before the rival was relegated to the second division last season of the French Championship. 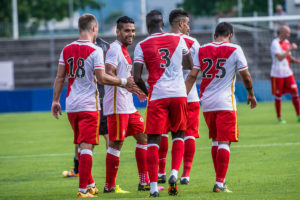 The two most recent 1 to 0 (out) and 3 to 1 (home).Monaco’s lack of quality football, despite the millionaire cast at the disposal of coach Thierry Henry, and the pragmatism of Metz outside their domains, make the prognosis in the success of visitors is the best option for the confrontation of this Tuesday, the French Cup 2018/2019.